Luxurious contemporary style home located in the San Marco master planned community. Gourmet kitchen with stainless steel appliances, ample counter and cabinet space and walk-in pantry. Duel zone heating and cooling systems. Charming backyard with low maintenance landscaping complete with fresh garden and flowers. Alarm & monitoring system with no monthly fee. Close to BART for commuting convenience. Lot Size: 0.07 Acres / 3196 Sq. Ft.
SchoolsClick map icons below to view information for schools near 2248 Toscana Dr Pittsburg, CA 94565. Listing provided courtesy of Timothy Spencer, Pmz Real Estate. Home for sale at 2248 Toscana Dr Pittsburg, CA 94565. Description: The property at 2248 Toscana Dr Pittsburg, CA 94565 with the MLS# 40849225 is currently listed for $620,000 and has been on the Pittsburg market for 72 days. 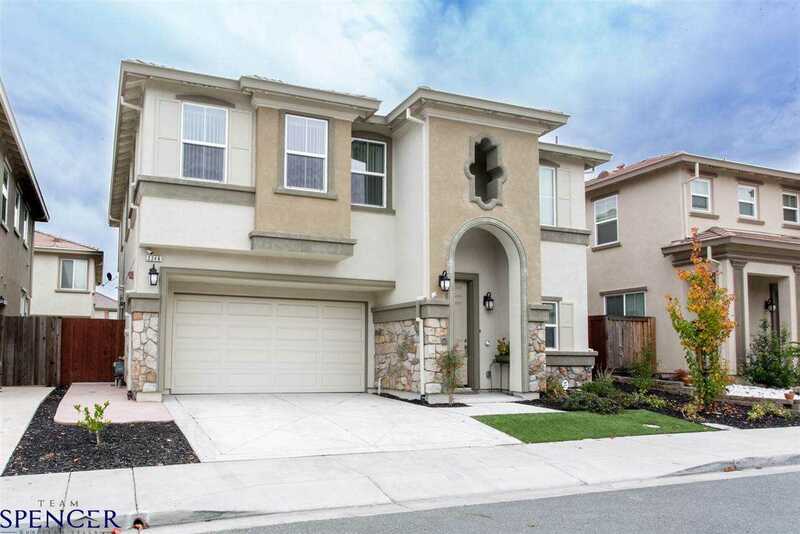 You are viewing the details of the real estate listing from the East Area MLS at 2248 Toscana Dr Pittsburg, CA 94565, which features 4 bedrooms and 3 bathrooms, and has approximately 2402 sq.ft. of living area.